Little River Inn boasts inspirational ocean views from both our conference facilities and guest rooms. Your meeting or event will be expertly handled by dedicated innkeepers whose family has been hosting guests for nearly a hundred years. Family hospitality meets fine cuisine at this landmark coastal resort. 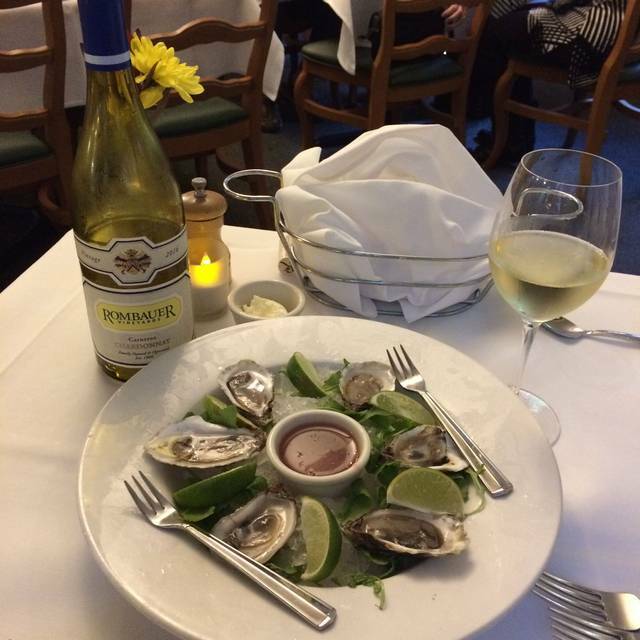 Looking out upon magnificent ocean and garden views, Little River Inn is well known for its comfortable atmosphere and enticing fresh local fare. Executive Chef Marc Dym creates dishes that are at once familiar and modern, while the friendliest staff on the coast make you feel like part of the family. Call for Breakfast and Brunch reservations. 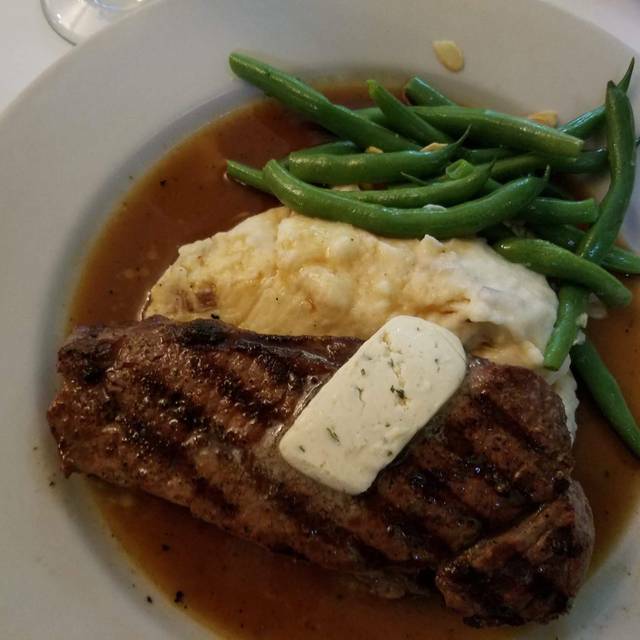 We always enjoy dining at the Little River Inn. Ambiance and food wonderful. Ole's Whale Watch Bar is great to have a cocktail or two and enjoy the stunning view. Love everything about the Little River Inn! The visit was all we expected it would be. The staff was very friendly, the food delicious, and the ocean view incomparable. All together a most delightful experience. Always enjoyable to eat at the Little River Inn. Great food with beautiful surroundings. This is a beautiful place. 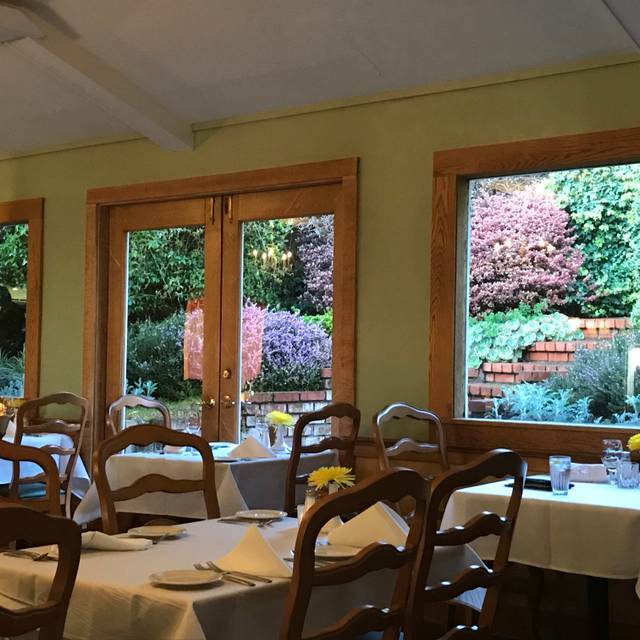 The restaurant has large picture windows into green gardens and has a feeling of being at grandma's place. The service was terrific at our table of 9. We all enjoyed the food very much with an assortment of seafood and steak. Prices are reasonable. We came back for breakfast (loved our room at the inn as well), which was excellent with large portions. We had a lovely dinner with excellent service. Both of our dinners were perfectly prepared. Would definitely return! Food and service were exceptional. The braised beef short rib was one of the best I’ve had. You also must try Mischa’s Martini. We have been to the Little River restaurant several times in the past. It's always been tasty and the service is always great. We had a very delicious dinner with an excellent bottle of red wine recommended by our server. We love coming to this restaurant because of the food and service. The wine list is very good and the food is delicious. Our server Jenn, was very outgoing and friendly. Food was great! Price for crab cakes was a little high for the size but they tasted very good. Service was somewhat slow but we weren’t in a rush. Will be back! We were given a nice little table in a quiet room which I had requested, and was thankful for because the main room was very noisy. Our service was prompt and very good. We had several waiters which seemed odd, but it was fine. The young man who filled the water was very odd. He would swiftly march into the room, walk very quickly around in a circle and leave. It was a bit disruptive. Our food was excellent. We had the calamari appetizer which was prepared well and not greasy. I had the salmon with spinach purée and my husband had the sole almandine. Both were excellent. We ordered cobbler to go and it did not disappoint! We come every St. Pat’s Day to savor their corned beef and cabbage meal. Absolutely the best! Excellent dining in a lovely setting. Setvice was top-notch. Try the cobbler of it’s on the menu. Enjoyed our dinner with friends Fri 2/22. Our server Susan was wonderful! Service was excellent! We had sunset view and it was amazing. I had the scallops and it was yummy! The oysters were sweet and delicious! My husband had the flat iron steak and even that was amazing! We were given truffles made by the head chef and my husband enjoyed it to the fullest. Next time we will stay there! Everything was great. I especially liked the zucchini papradelle. Friendly service and a great menu. I HIGHLY recommend you making a reservation to eat in the dining room (the place fills up very quickly). We ate two dinners here while we stayed in the Little River Inn for the weekend. The food was great and the atmosphere is beautiful. I loved the flat iron steak and the sole and the homemade cobbler is worth saving room for! I highly recommend this place for a nice romantic dinner away! Good standby for north coast dining. Great service and good food. We enjoyed soup and salad, wine, coffee and dessert. Charming location, look forward to going back! We had an enjoyable meal. Our waitress, Jen, was helpful, attentive and friendly. This was our second diner at the Little River Inn this visit. We will come again. This was our second dinner at Little River Inn. As was true the first time, the food and the ambiance were outstanding (we were seated privately in the parlor because we brought our small dog with us). However, this time the initial service was unacceptably slow; we were not even offered any bread until at least 20 minutes after we had been seated (and only after we asked for it). We learned that our waiter was a fill-in serving for the first time. The hostess eventually intervened to ensure that we were taken care of going forward. To her credit, she comped both our salad and our dessert, and she checked in regularly once she understood our initial frustration. To be clear, we left completely satisfied that our concerns had been dealt with and that the management understood (and cared) that we had been treated poorly. 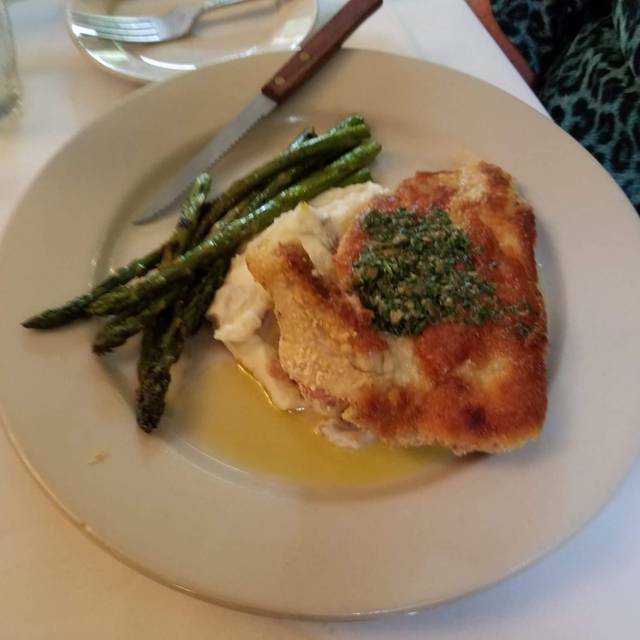 I am confident we will return, and we did enjoy the food very much (I ordered the steak Diane and my wife had the sole amandine, both of which were prepared perfectly). I just felt I had to report the lengthy delay that we initially experienced. We had reservations for 6:15 and arrived at 5:15 hoping to sit and get a cocktail before dinner. The bar was packed and hardly anywhere to stand let alone sit. We ended up leaving and walking around the parking lot until we were too cold. We attempted again to get a drink and it was successful. Thought it was weird how many people were milling around outside in the cold and almost dark. Show have a bit more seating until dining room is open. Our waitress "Jen" was lovely we had a wonderful dinner. I had not been at this restaurant for many years. Although the service was good, the food was not. I am unlikely to go back here in the future. The food was well prepared and tasty. The scallops were overwhelmed by too much spice. They should have been a simpler recipe. Had a very good dinner there, service was excellent. Value very comparable for the area. Beautiful setting. We have driven by this restaurant for years always saying we should go! This year we made a reservation and went...it was great. Beautifully directed for the holiday season. Excellent service from the Host, wait staff and bus staff. We had cocktails, appetizers and entrees. All were outstanding. Topped it off with the sorbet, which is seasonal, blackberry for us - delish! We have celebrated our anniversary at the Little River Inn for the past 10 years and have always enjoyed the rooms, the resturant and bar. We have stayed at the White Cottage and room 264 on many occassions and the beds are comfortable and clean and housekeeping does an excellent job on a daily basis. The staff is always friendly and helpful. The spa is excellent, we have had massages from Mexico to Canada including the spas and Calistoga and we have had the best massages at the Little River Inn Spa, Ask for Naraha, Chinese medicinal deep tissue specialist, I guarantee Naraha will cure what ails you. 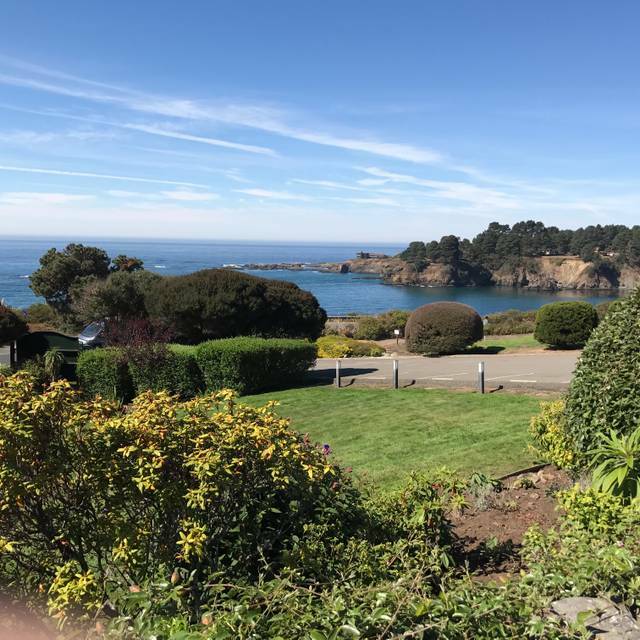 Overall the Little River Inn is the place to stay on the Mendocino Coast. Thank You so much for your hospitality. We will be back. as I got my starter almost ten minutes before my wife got hers. (We reminded the waitress as we thought she had forgotten the salad order) We both had the eggplant main course and the plating was haphazard like it was done in a hurry. Not an attractive presentation as in the past. I ordered hot tea two times before it finally came when I was almost finished with my entree. Hope this was just a very off night and not a trend! Bland, expensive food in a too bright dining room. It was a great place we loved the food! The drinks were wonderful! I wish we would of found this place sooner. Nice menu. Food was excellent, servers very helpful and friendly. We’ll be back!